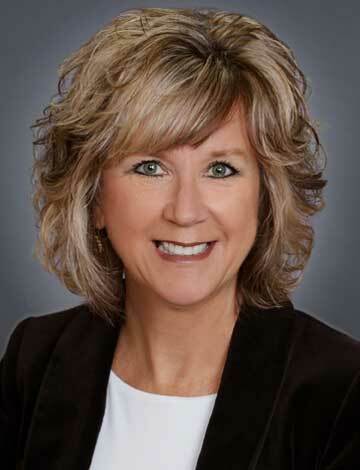 Gena Emerson is vice president of banking operations at Pacific Crest Savings Bank. She joined the team in 1997, having now celebrated more than 20 years with the bank. Gena’s experience in financial services began more than 30 years ago as a teller at a local US Bank. Her career quickly progressed, rising through the ranks propelled by her drive and dedication to exceptional customer service – strengths she brought to Pacific Crest while the company was transitioning from a mortgage company into a regional bank. Gena was intrigued by the chance to help build something new and was drawn to Pacific Crest’s commitment to clients and the community. As she has helped grow the bank into who we are today, these people-focused principles have remained the foundation of her work and passions, whether through building client relationships or partnering with the team to make a difference in the community. Her deep understanding of client needs and knack for providing personalized service set the tone for our client experience and help to build lasting relationships – some that even date back to her earliest days with the bank. What do you like to do in your free time? My family loves to travel and watch football and baseball games together. In fact, our goal is to visit at all 30 major league ballparks. We’ve been lucky enough to see ten so far, but we are on our way. I also enjoy visiting Walla Walla when the weather is warm for days on the golf course and the wine tasting is superb. Have you ever lived outside of the state? Yes, I lived in Hawaii for five years, where I met and married my husband. I have family there, and I visited them frequently while growing up. In fact, my grandmother is Native Hawaiian, and she was in the first hālau to dance Hula at Carnegie Hall.